While I'm waiting for the parts for my computer- I thought it would be fun to repost some round ups of previous projects. 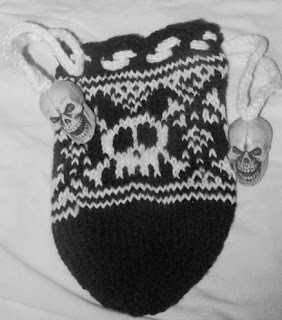 Skull Knitting Chart- this chart is one that I used for a dice bag for my son. The large skulls on the ties are table decorations that I drilled to make beads. 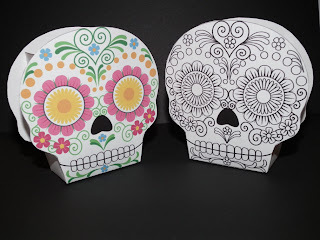 Día de los Muertos Sugar Skull Boxes- these open topped boxes are easy to make and one of my favorite printable projects ever. 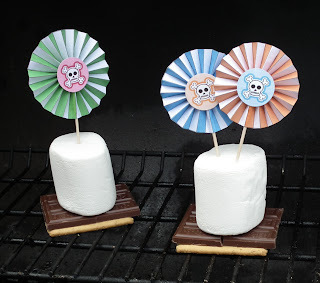 Skull and Crossbone Cupcake Toppers- I love this fan effect. No idea why I haven't done a lot more of these. 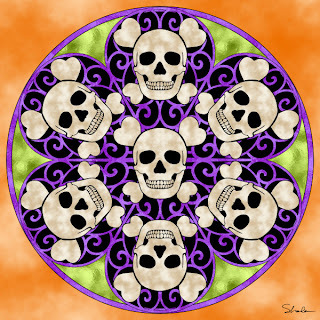 These are just a few of the skull projects available, because apparently, I really love skulls.